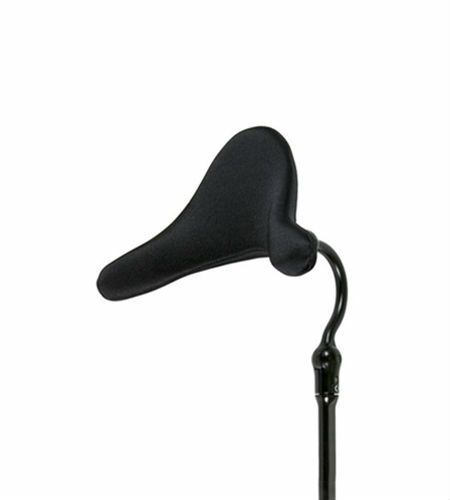 Contoured Cradle Head Support’s positioning success is derived from its unique anatomic shape. Generically designed to cradle the occiput and provide lateral cervical support, this unit supplies a high degree of comfort and positi oning in a simple-to-adjust head support. A single rotational collar adjustment allows positioning for maximum support surface contact. Four pad sizes fit infant to adult. Add lateral facial pads, switches, and/or anterior support for more versatility. 3 Different sizes and 2 different finishes.